Our Sapele wood screen doors are 1 3/4″ thick with beveled rails and wide side stiles for durability and beauty. For our screen door joinery we use a mortise and tenon to insure the strongest and most authentic mechanical construction. We have standard size doors or we can custom build your door to meet your size requirements. 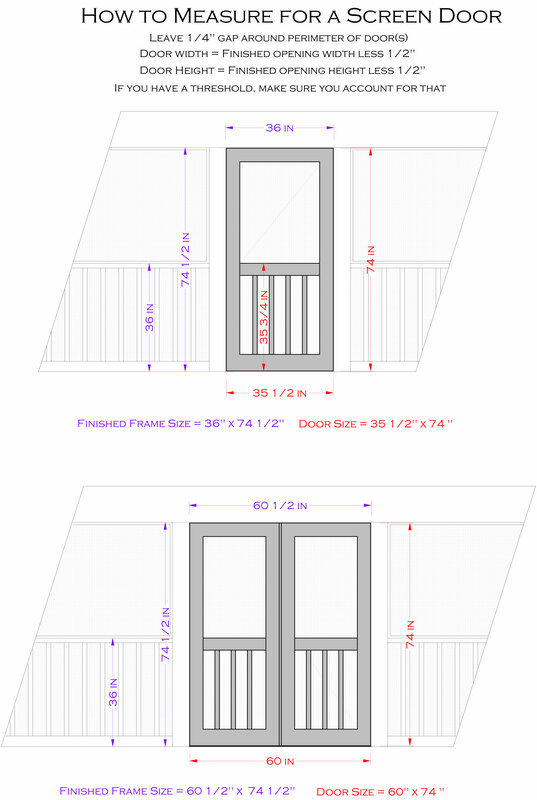 We do have a 40” limit on width for a single door and an 90” limit on height. If you need a larger door, please call us to discuss. Sapele is an excellent wood to use for screen doors due to its rot and insect resistance. However, as with any wood, there will be defects in the wood including small checks and voids. We repair these with a combination of brown tinted epoxy or Sapele inlays. The doors can be painted or stained. The epoxy may be visible on a stained door but we do our best to make it look like natural wood grain. The Cathedral Picket panel is PVC. We build our doors to last! For standard doors, please select door size and specify mid rail height (Z). 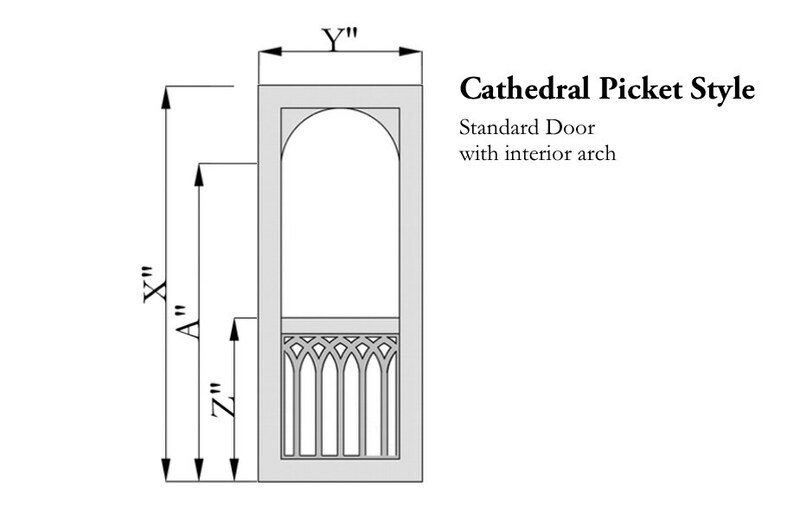 For custom door please specify the width (Y), height (X) and top of mid rail height (Z). 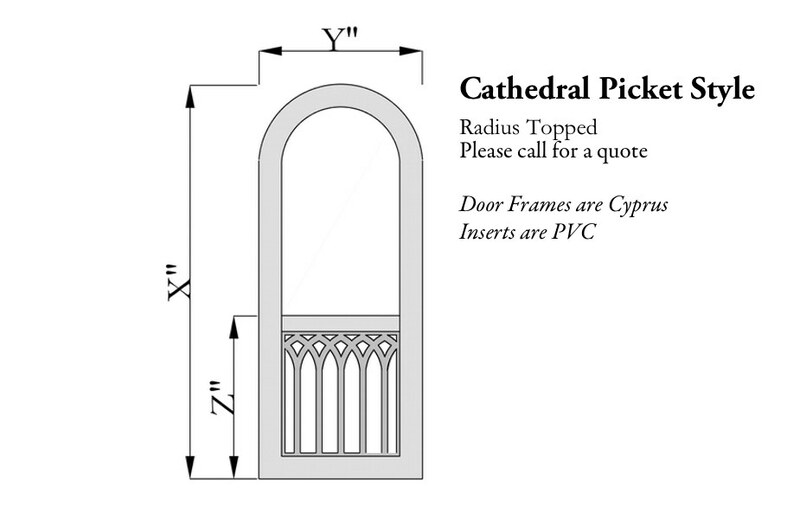 For doors larger than 40” x 90”, please call our office for a custom quote. We recommend that you allow for a ¼” gap on all sides to allow for expansion and contraction. 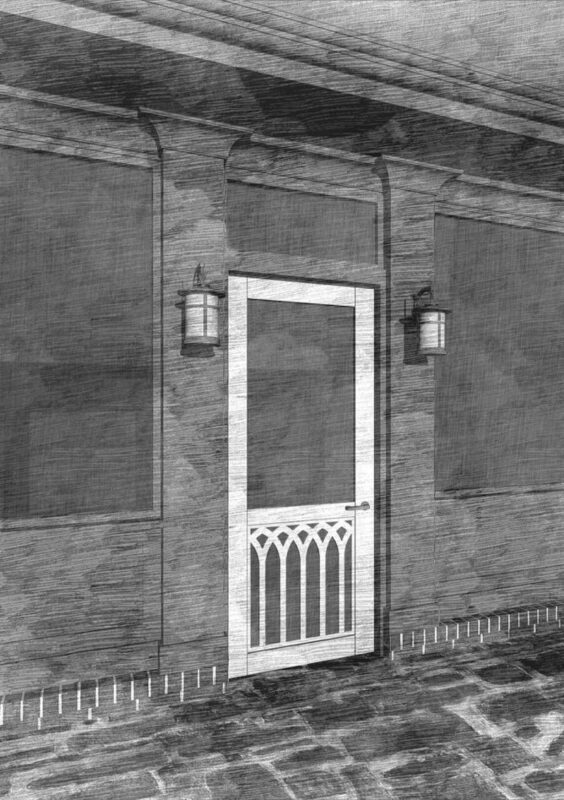 Our typical door has a 4 3/4” top, and side rails and a 5 ½” bottom rail. The mid rail is 4”. Give us a little grace – those number can vary depending on the door style and wood condition. If you would like a radius topped door, or any other custom options not found online, we will have to give you a custom quote so please give us a call at (615) 730-8067. **Doors are not painted (or stained) and do not include hardware. The screen, as well as door installation instructions, are shipped with the door. 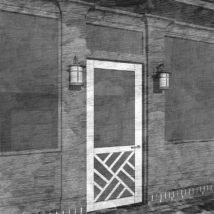 The doors are treated with Woodlife which helps to prevent mold and warping, as well as extending the life of an untreated door. 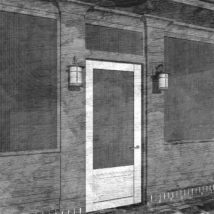 The doors do not come in a jamb as most doors are hung directly on a porch column. How to measure for a screen door. Please enter your custom height (X) in the field above. Max is 96". Please enter your custom height (Y) in the field above. Max is 40". Z is the top of mid rail height.